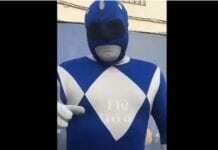 IT has been dubbed the ‘wedding of the century’. No it is not the tying of the knot between Wills and Kate. Posh and Becks? Guess again. Even Katie Price’s ‘fairytale’ wedding to Peter Andre falls short in comparison. 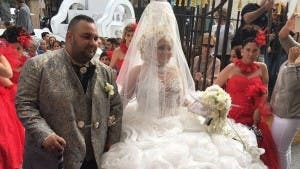 It is, in fact, the gypsy wedding of Ana and Jose Luis in La Linea. With 400 guests, five photographers and three live music acts, the happy couple wed in La Linea. 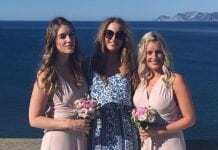 Officially, home to Spain’s second highest unemployment rate (46%, behind just Sanlucar de Barrameda), the total wedding cost is estimated to be around €100,000. The ceremony took place in the Iglesia de la Inmaculada, the town’s biggest church. Both part of the large Romany gypsy family known as the Ramones, Ana was led in by one of her brothers as her parents both died a year ago. 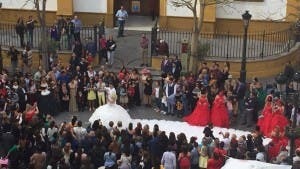 Sporting a 10 metre train, Ana’s bridesmaids, clad in bright red dresses followed her into the church. Meanwhile, groom Jose Luis also wore white and jazzed up his outfit with a matching cane. On the wedding invites, the couple had labeled the ceremony as ‘the biggest wedding of the century’. The after party was just as impressive. With 32 tables, guests enjoyed kilos of seafood served up in old fishing boats. Eighteen hours of dancing then ensued with gypsy dance troop Farruquito and singers Sinai and Parrita leading the celebrations. Over the course of the evening, the bride changed outfits five times. In Spain there are an estimated 450,000 gypsies. Of these, 350,000 live in Andalucia. 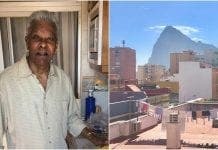 Do I count as unemployed (in Spain) if I live in La Linea, but work in Gibraltar? Inactive: This category includes the percentage of adult population that is studying, does household chores, is retired, is too sick to work or if is simply not looking for work. Active Population: includes persons who are both employed and the unemployed. But if you are registered in Spain, have seeked employment in Spain, got a job in Gib and dont pay tax to Spain the you might be registered as unemployed. Evan, Why are you bothered? 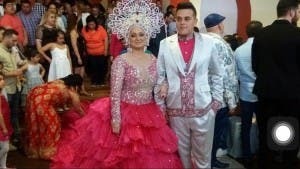 Just enjoy “The big fat gypsy wedding”, That will take your mind off it.